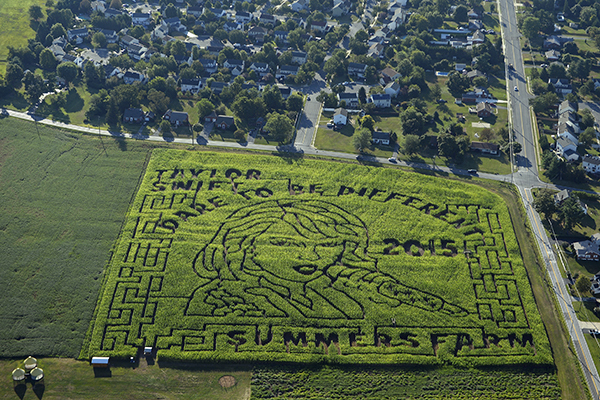 A short drive from campus is a Taylor Swift-themed corn maze. Visitors can answer trivia questions about the pop star to help guide themselves through the labyrinth. That sounds pretty weird on its own. But it gets better – it was all carved from 12 acres of corn stalks as part of the annual display of elaborate corn mazes at Summers Farm. On a crisp fall afternoon we arrived at the farm ready to stretch our legs after sitting in an hour and a half of traffic to experience this corn pop star in person. At the entrance to the maze, which costs $8 on weekdays and $12 on the weekends, we encountered a board of various Swift trivia questions, ranging from the easy (date of birth) to the head-scratching and impossible (what did Swift do the summer she was 12 years old?). Each sign offered a direction to turn either right or left in the maze, based on which answer we chose. Not knowing the answers to the majority of the trivia questions (we may know every one of her boyfriends, but apparently not the amount she has donated to the Country Music Hall of Fame), we went with our gut most of the time in the maze. After about 15 minutes wandering through the immaculately maintained labyrinth while humming Swift tunes to ourselves, we ventured up the stairs to a wooden platform lookout point and wondered when, in the parlance of “T-Swizzle,” we would be out of the maze and in the clear. 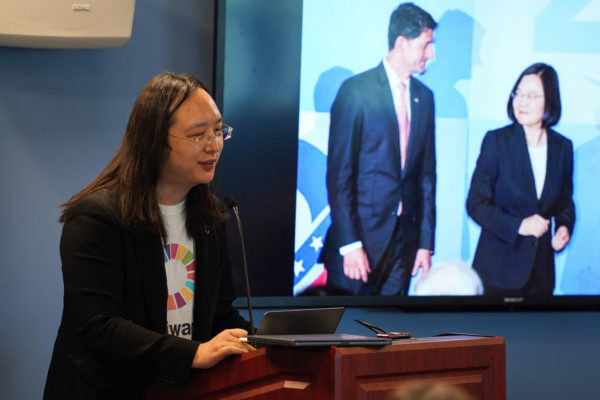 Thankfully, it did not take long to reach the rest of the various signposts, which included kernels of information, if you will, about each stage of Swift’s life ‒ from growing up on a Christmas tree farm in Pennsylvania to whirlwind 13-month-long world tours. Soon we found ourselves halfway through the maze and took advantage of a clearing through Swift’s golden corn locks to step outside the maze into the adjoining barren pumpkin field and get our bearings. We also considered just walking back to the exit on this path but we figured the pop singer would disapprove of us if we didn’t take our doubt, shuck it off and persevered. We found ourselves at the maze exit after only about 10 more minutes of navigating which Swift posted on Instagram with the caption “Lawn Goals” in September. Our total time in the maze came to half an hour, only two-thirds of the run time on the corn goddess’ “1989” album. In 2008, after dabbling in amateur corn creations for years, the farm began to carve more elaborate designs into their acres of corn. Recent popular designs included the logo of the Baltimore Ravens and, during election years, the names of both candidates carved into corn. While the maze attracts a fairly typical audience of families and teenagers, Greenwood said they’ve had some surprising Swift fans drop by.